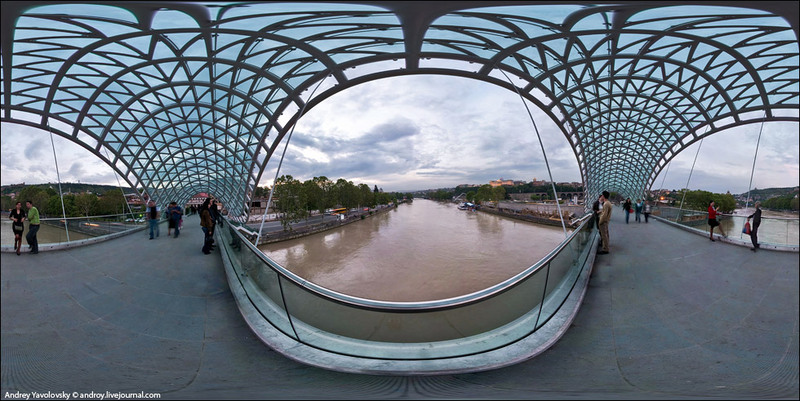 The Bridge of Peace (Georgian: მშვიდობის ხიდი, mshvidobis khidi) is a bow-shaped pedestrian bridge over the Kura River inTbilisi, capital of Georgia. 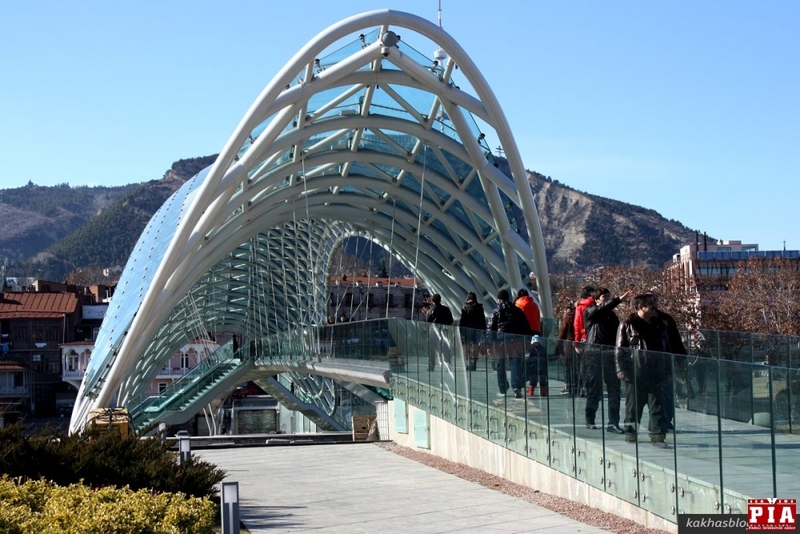 The bridge which stretches 150 metres (490 ft) over the Kura River was ordered by the City Hall of Tbilisi to create a contemporary design feature connecting Old Tbilisi with the new district. 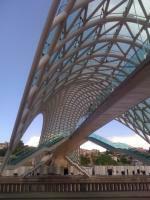 The official opening took place on May 6, 2010. The bridge stretches over Kura River providing a unique view of Metekhi Church, Narikala Fortress and statue of city's founder Vakhtang Gorgasali on one side, and Baratashvili Bridge and Presidential Office on the other. 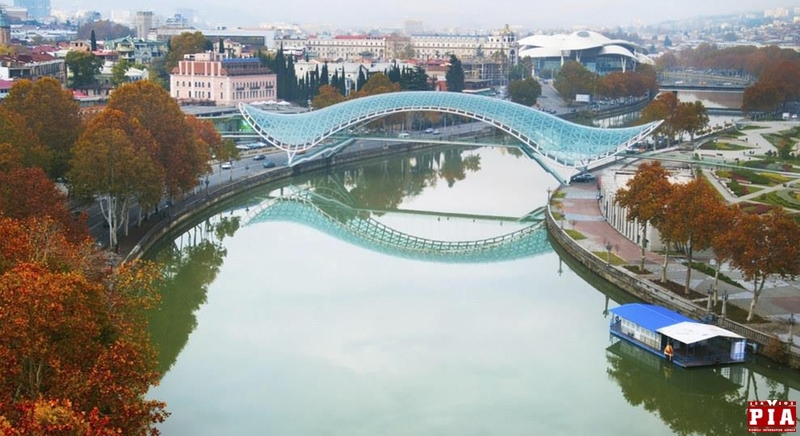 The bridge a design of which reminds of a marine animal has a curvy steel and glass canopy top which shimmers with an interactive light display at night, generated by thousands of white LEDs. The roof is fitted with 1,208 custom LED fixtures designed and installed by the Dutch Primo Exposures and RENA Electronica companies, using 6,040 high-power LUXEON Rebel LEDs with 4,200K color temperature, supplied by Future Lighting Solutions. 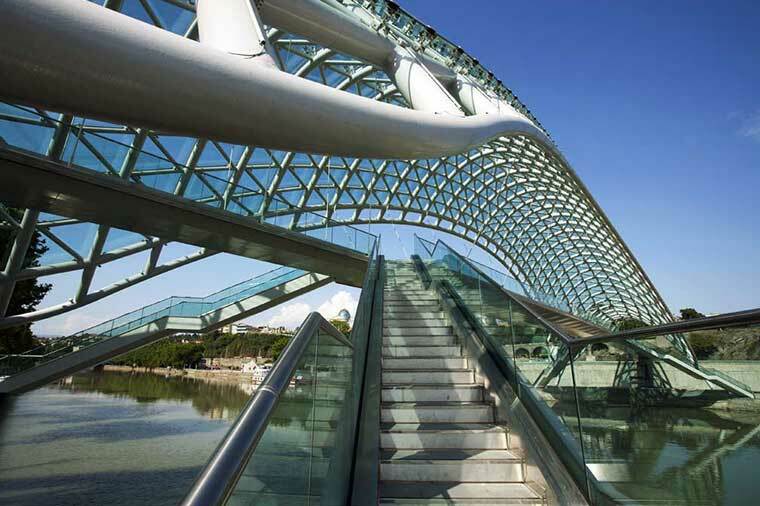 The handrail glass panels which run along the whole length of the walkway are equipped with embedded linear low-power LED arrays, a product called powerglass, supplied by Glas-Platz from Germany. The lighting is switched on 90 minutes before sunset illuminating Kura River below and buildings on both banks of the river. The bridge was designed by the Italian architect Michele De Lucchi, who had also designed the buildings of the Presidential Administration of Georgia and Ministry of Internal Affairs; the lighting design was created by French lighting designer Philippe Martinaud. 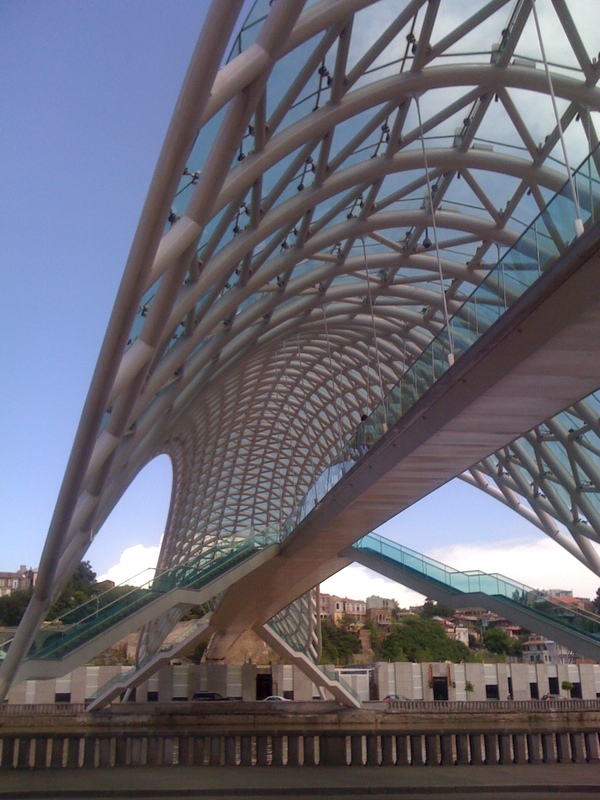 The structure of the bridge was built in Italy and transported to Tbilisi in 200 trucks while the lighting was installed on site during the assembly of the structures.